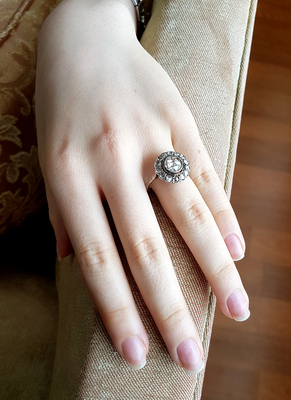 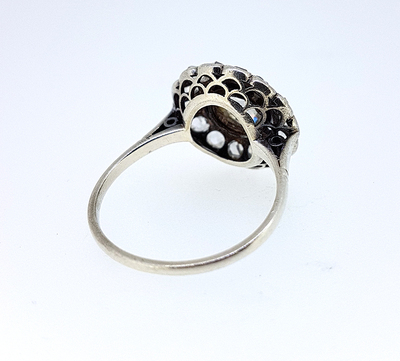 Item description: * A lovely antique Victorian circa 1880 pansy / flower cluster diamond ring with a large round rose cut diamond centerpiece. 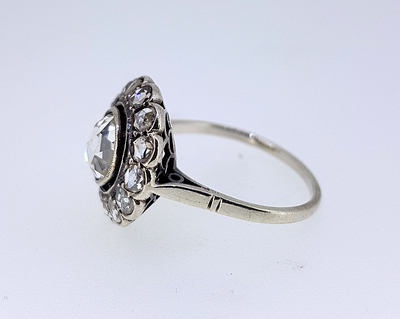 The central rose cut diamond measures 7.1x7.1x2.3mm and is estimated to weigh approximately 1.30 carats surronded by a round cluster of old mine and rose cut diamonds. 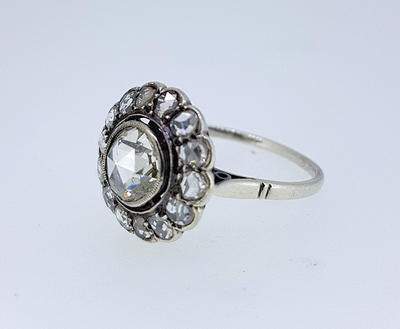 The round diamond border consists of 14 pieces each measuring roughly 3mm in diameter and with combined weight of approximately 0.70 carats. Total estimated diamond weight is in the 2.00 carat range. 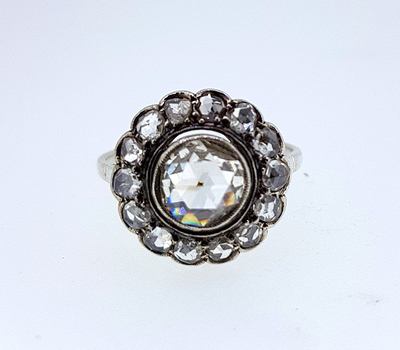 The large center diamond has a perfect VS1 clarity and superb white color in the G-H color range, while the surrounding cluster of diamonds have an average SI1 clarity and same color range. 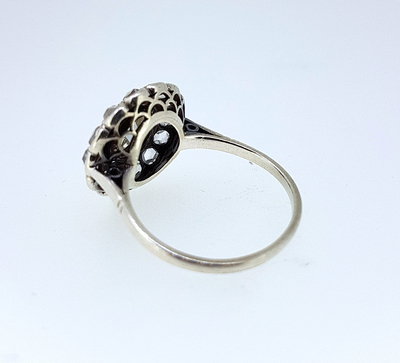 Gross weight of the ring is 3 grams in 18 karat white gold and ring size is 56 (US size 7.5 / UK size O), but can easily be resized. 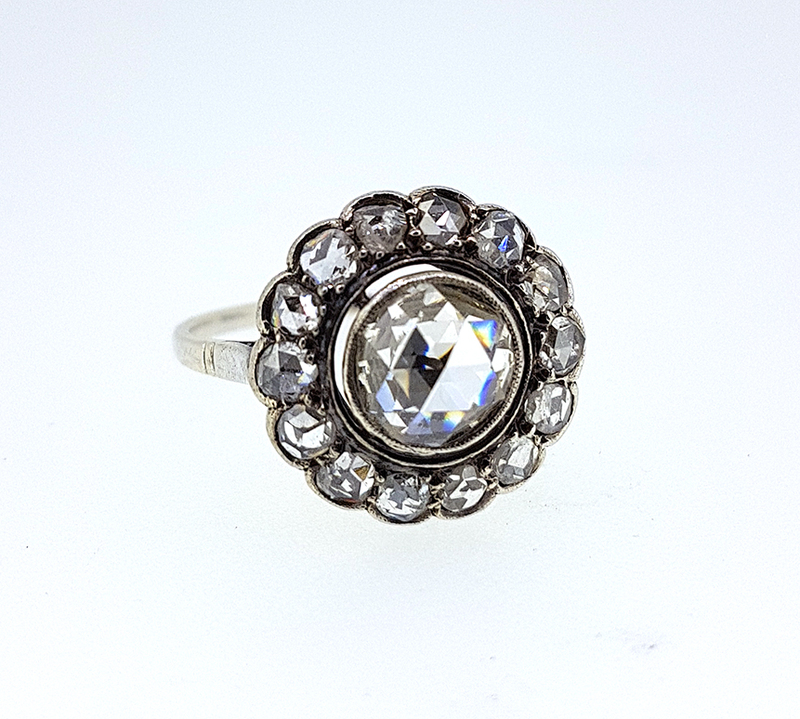 Scarce antique collector jewelry piece and one of the rare Victorian rose cut diamond pansy rings and jewels.